Having launched their online service in August 2013, Palmerbet is relativity new to the online sports-betting scene, however, the Palmer family that is behind Palmerbet are anything but newcomers to the bookmaking game after being fixtures in Sydney and interstate betting rings for over 30 years. 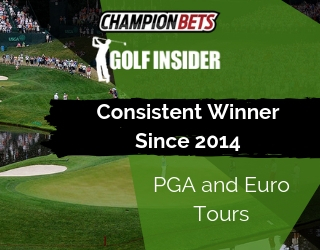 And by combining their wealth of on-course experience with internet technology they are now providing a quality service to the online betting community which includes competitive fixed odds, even-money footy lines, a Best of the Best racing product and a sign up bonus that is available to all Australian residents. Plus for those of you with a sense of patriotism Palmerbet is now one of the last remaining 100% Aussie owned and operated online sportsbooks. But what I like most about these guys is that they aren’t afraid to accept large bets and they will never close a client’s account simply because they are winning. 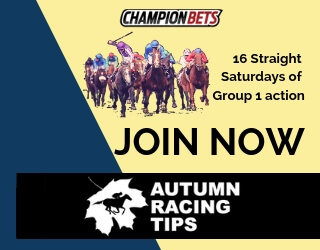 Led by Brothers Grant and Andrew Palmer, they clearly possess the customer service experience and bookmaking know-how to satisfy their customers and they are definitely worth checking out, especially if you take your betting seriously or like to bet big. First Bet Refund ~ Take advantage of the $200 first bet refund which is available to all Australian residents. Bigger Betting ~ The Palmer boys are prepared to accept bigger bets than most of their corporate counterparts. Winner’s Welcome ~ Successful punters will not have their accounts closed. 100% Aussie Owned ~ 100% Aussie owned and operated. Last Man Standing Competition ~ Palmerbets new footy tipping comp is worth $10,000 to the NRL and AFL competition winners. Market Depth ~ Not as many market options as some of the bigger operators. Exotic Multi-Betting ~ Exotic multi-betting options like Trixies, Canadians, Lucky 31 etc. are not supported in the bet-slip. Live Betting ~ Some in-play betting is available, however the website doesn’t display live odds so punters must phone Palmerbet during play for a quote. Racing Exotics ~ Some racing exotics are not supported on the mobi website. First Bet Refund ~ Get a refund up to $200 if your first bet loses (bonus available to all Australian residents). Racing Money-back Special ~ Get your money-back if your horse finishes 2nd or 3rd in a nominated race every Saturday (usually the feature race, max bet $50). Even Money Lines ~ $2 lines are available on NRL, AFL and NFL matches from 4pm to 7pm Fridays (max bet $200). Refer a Friend ~ Earn a $50 free bet every time you refer a friend to Palmerbet. 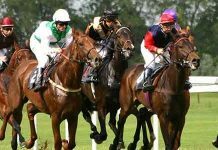 Owners Bonus ~ Racehorse owners get paid the early fixed odds or the Best of the Best when betting on horses they own. Free Bet Reloads ~ Regular refund promotions are offered on losing bets. $10,000 Footy Tipping Comp ~ The last Palmerbet account holder with an active winning streak in their new NRL and AFL Last Man Standing competition will win a massive $10,000 in cash. *Winning from bonus bets must be turned over at least twice on WIN bets at odds of $1.80 or greater. Best of the Best ~ This racing product pays the best of the three major Australian totes or the Top Fluc (available on Win bets up to $250 on all Saturday Metropolitan meetings). Top Fluc ~ Pays the Top Fluctuation bet by on-course bookmakers for the meeting you are betting on. Best Tote ~ Guarantees a payout equal to the highest Win dividend declared by the three major totes. Tote +5% ~ Pays the SuperTAB price plus 5%. Tote +10% ~ Pays the SuperTAB price plus 10%. Middle Tote ~ Pays the second highest of the three totes. Racing Exotics ~ All racing exotics are paid at the SuperTAB price. 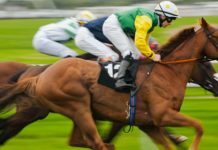 Fixed odds ~ Competitive fixed odds on both racing and sport. Jockey Challenge ~ Enables betting on which jockey will have the most success across a nominated meeting or carnival. Trainer Challenge ~ Enables betting on which trainer will have the most success across a nominated meeting or carnival. 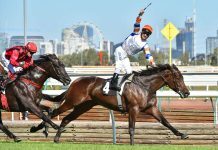 Prepost Markets ~ Early markets and futures betting is available for feature racing and major sporting events. 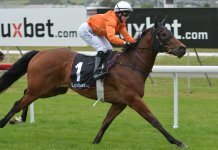 The Palmerbet website is a fair way behind some of their competitors in terms of special features and capabilities but from a punting perspective most of the key angles have been covered. A basic user interface means navigation should be instantly familiar while placing your bets quickly is a relatively simple process. 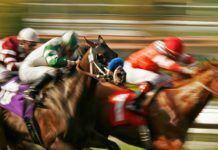 The main page boasts an easy to use pop-out sports menu plus all the necessary quick links for upcoming racing, sport and live betting. The racebook includes basic horse form, track and weather conditions, coloured silks, some runner comments and full price fluctuations. Plus their unique Bet Book feature puts members in contact with their betting friends and other punters via Facebook. On the flipside there are a few downsides – The bet-slip currently doesn’t support exotic multi-betting options, racing exotics such as Trifectas and First Fours are not supported on the mobi site, and although live betting is available the site doesn’t display live odds so clients must phone Palmerbet for quotes which can significantly slow down the in-play betting process and prove quite costly. And although visually it definitely doesn’t present as slick or attractive as most of the larger operators i have been informed that some major upgrades are just around the corner. And to be honest they are needed. Palmerbet is currently developing a mobile betting application but in the meantime a Mobi site is available for mobile punters. The design is simply a smaller version of the main website with most of its features and capabilities remaining exactly the same. So like the main site it’s not very fancy, but still it’s perfectly sufficient for betting on the move.